2- In a medium bowl toss chicken with flour. Remove chicken from bowl and add to hot skillet. Spread out evenly. Let cook for 5 minutes before stirring. 3- With remaining flour make sauce- combine chicken broth, honey, soy sauce, ginger, and garlic. Stir unless smooth. Set aside. 4- Once chicken is brown, remove from skillet and set aside. 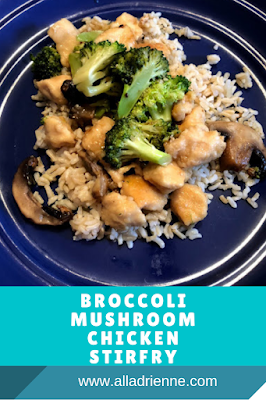 5- Add broccoli, onion, and mushrooms to hot skillet. 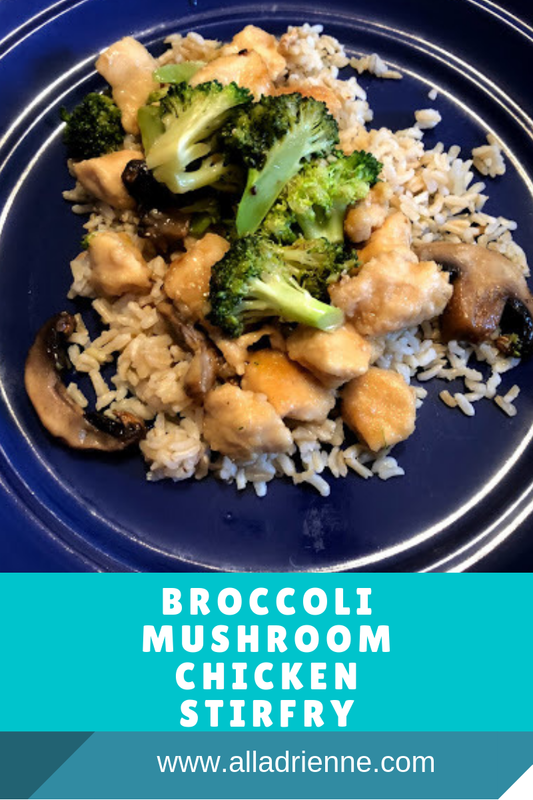 Cook until broccoli is tender. 6- Add chicken back to skillet. 7- Stir in sauce, bring to a boil, simmer until sauce thickens. This looks like a delicious combination for a stir fry which we will love! Thanks so much for sharing your post with us at Full Plate Thursday, we have really enjoyed it. Hope you have a great day and come back soon!